Parallels Tools failed to install / reinstall / update in my virtual machine. General troubleshooting is straightforward, please follow the instructions step by step. 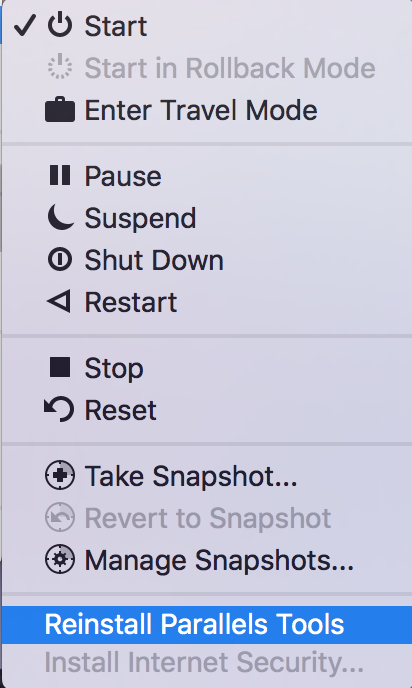 On Mac menu bar find Parallels logo > choose Actions > Reinstall Parallels Tools. 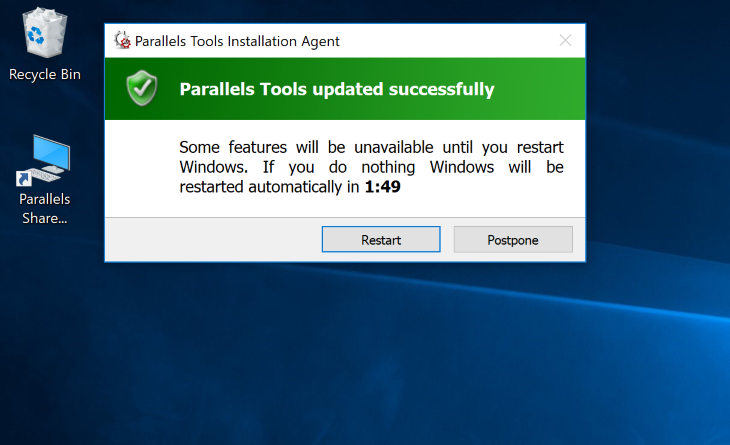 Parallels Tools will start updating, when finished, click Restart to reboot the virtual machine and complete the installation. 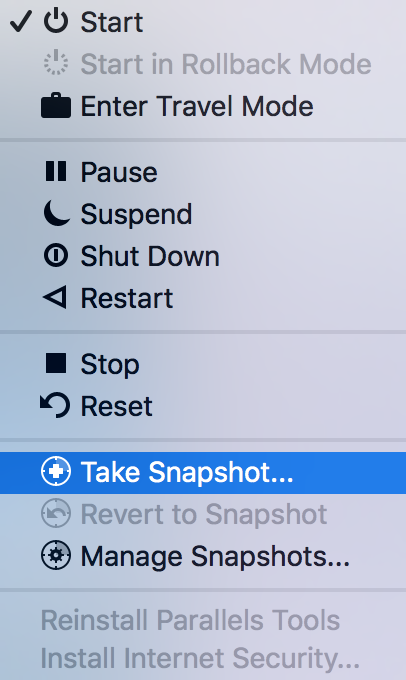 Take a snapshot by clicking on Parallels logo > and choosing Take snapshot on Mac menu bar to save (back up) the current state of your virtual machine in case of any unpredicted consequences during the troubleshooting process. Completely remove all possible anti-malware (antivirus) software from Guest OS. Perform Windows clean boot to make sure none of the installed 3rd party applications are affecting on Parallels Tools installation. NOTE: in Services tab keep Parallels Tools services enabled. Scan your system for missing or corrupted files. 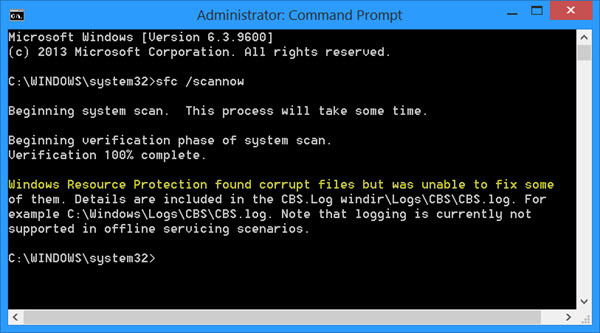 If after scanning the system you get the message on the screenshot below, please repair Windows using DISM utility. NOTE: the internet connection must be present to be able to run DISM command. Check your virtual hard drive for corrupted sectors' presence. Perform manual Parallels Tools installation. If the steps above do not fix the problem, try an additional Parallels Tools installation issues guide with the help of KB 8969. Check Event Viewer log files for a possible culprit of Parallels Tools failure. If there are any critical errors found in Event Viewer about .dll libraries, .inf files malfunction or other system files problems, the operating system registry is damaged and has severe problems which will definitely reveal themselves in the future. Therefore consider installing a new virtual machine from scratch.